The attorneys came to court to try to secure the payments because Jackson's children were entirely dependent on him for support, a court filing states. The singer also supported his mother. 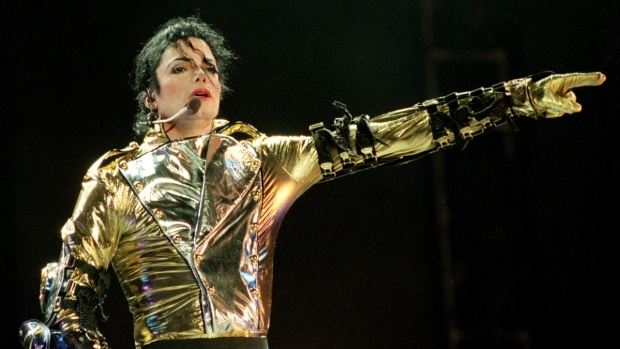 LOS ANGELES – A judge on Thursday refused a request by attorneys handling Michael Jackson's estate to grant immediate allowances to the singer's three children and his mother, but will take up the matter next month. The request came Thursday morning from attorneys for two men who are serving as temporary administrators of Jackson's estate. Paul Gordon Hoffman, an attorney representing the pair, said Los Angeles Superior Court Judge Mitchell Beckloff opted to consider the requests Aug. 3. A similar request was brought for the pop icon's mother, Katherine Jackson, which will also be taken up at next month's hearing. It was still unclear how much the children or their grandmother would receive. "We are informed that Mrs. Jackson was also financially dependent upon Michael Jackson and that other than extremely modest social security benefits, Mrs. Jackson has no independent means of support," wrote attorney Jeryll S. Cohen, who is representing the temporary administrators. There was no indication why Beckloff refused to grant the stipends to Katherine Jackson and her grandchildren, but he has previously denied ruling on financial issues until scheduled hearings. Burt Levitch, an attorney for Katherine Jackson, said there was no opposition to the motion brought by attorney John Branca and music executive John McClain, who have temporary control of Jackson's estate. Katherine Jackson currently has custody of the three children, 12-year-old Michael Joseph Jr., known as Prince Michael; 11-year-old Paris Michael Katherine Jackson; and 7-year-old Prince Michael II, known as Blanket. The four are the main beneficiaries of Jackson's estate, but require the approval of a judge to collect any payments from it. Thursday's request would presumably help cover their expenses until the estate payments are sorted out, which could take several months or more. The children will also be eligible for Social Security payments, but those have not started yet, according to the filing. Attorneys had hoped to get a hearing before Beckloff on Thursday, but the judge decided to hold off until the Aug. 3 hearing, when numerous issues concerning the estate will be decided. Beckloff did grant a petition allowing Branca and McClain to enter into deals that will allow for the reprinting of Michael Jackson's autobiography, "Moonwalk," in the United States, Canada and several European countries.